The guest list for this year’s White House Correspondents’ Dinner is probably short enough to allow most people an extra plus-one. Vanity Fair, Bloomberg, The New Yorker, and other outlets have backed out of events surrounding the big political gathering, which will also be devoid of its biggest target—Donald Trump declined the invitation, presumably to visit one of his properties for the umpteenth time this year. But the WHCD organizers aren’t giving up the ship, even though there’s an adjacent event that sounds pretty awesome. 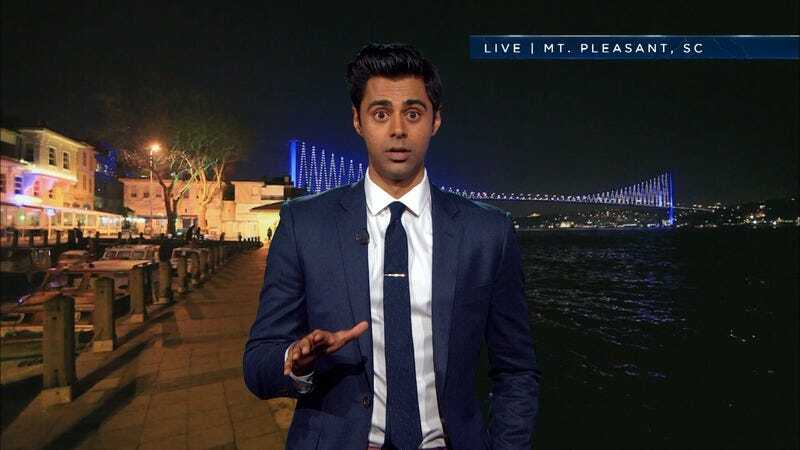 They’ve even managed to land another Comedy Central player as host—Time reports that The Daily Show’s Hasan Minhaj will emcee the event on April 29. Minhaj is well prepared for the gig—in addition to his stand-up and TV work, he raked Congress over the coals at last year’s Radio And Television Correspondents’ Dinner.